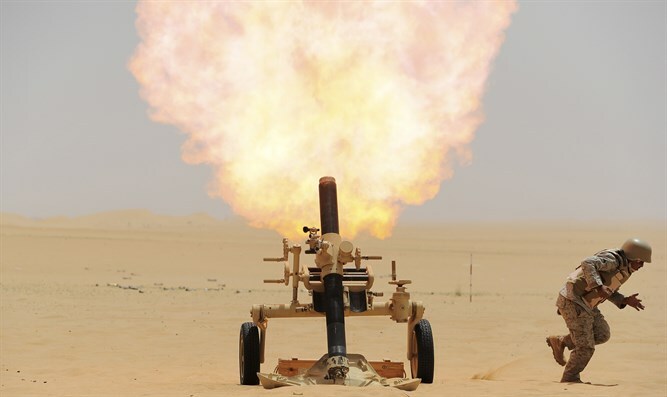 Saudi air defenses intercept two missiles fired from rebel-held territory in neighboring Yemen. Saudi air defenses on Sunday intercepted two missiles over Riyadh that had been fired from rebel-held territory in neighboring Yemen, AFP reported, citing state media. "Two ballistic missiles fired by Houthi rebels were intercepted over Riyadh," state-run Al-Ekhbariya television said, without specifying whether there were any casualties or damage. An AFP journalist heard at least four loud explosions in the Saudi capital, which has been targeted by Houthi missiles in the past, while residents reported bright flashes in the sky. Metal shrapnel littered a street in Riyadh´s diplomatic quarter, home to most embassies, a diplomatic source told AFP. The street had been cordoned off by security officials, the source added. The rebels’ news outlet Al-Masirah said missiles had struck the Saudi defense ministry and other sites in the capital. A Saudi-led Arab military coalition has been fighting the Iranian-backed Houthi rebels over the last few years. The latest attack came as Saudi women celebrated taking the wheel for the first time in decades after the kingdom overturned the world’s only ban on female motorists, noted AFP.